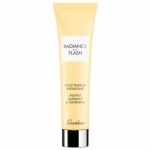 Guerlain Perfume, Fragrance, Skin Care and Cosmetics. Entering the Guerlain universe allows you to pass into an exceptional world where tradition and innovation weave the most beautiful creations. 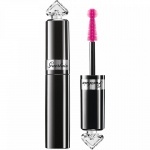 Guerlain were the first cosmetic house to create modern mascara and pioneered the wash off false tan and continue to create cosmetic products that feel and look like the ultimate in luxury with a edge of innovation to standards of which you could only expect from Guerlain. For over 100 years, Guerlain have researched and developed advanced skincare that has pushed back the boundaries of anti-ageing and moisturising skincare with a constantly enhanced range of skincare products that have become the benchmarks for other brands. Entering the Guerlain universe allows you to pass into an exceptional world where tradition and innovation weave the most beautiful creations. Cosmetic products that feel and look like the ultimate in luxury with a edge of innovation to standards of which you could only expect from Guerlain. 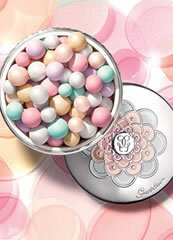 Guerlain Terracotta Collection was created in 1984 with the first compact bronzing powder ever created. This smooth and silky pressed bronzing powder gave skin a luminousity and bronzed look without heaviness and became the must have innovation in makeup. Each Guerlain perfume is created like a symphony of fragrance notes that have a harmonious volume, a lasting effect, personality, clarity and strength. 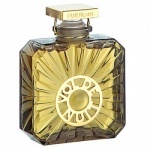 Guerlain's finely crafted and uniquely constructed perfume with ranges including Samsara, Chamade, L'Heure Bleue and Shalimar. Guerlain is a traditional fragrance house with a reputation of over a 175 years for prestigious fragrances that embelish your world. Each has been finely crafted as a refined and luxurious fragrance that emphasizes the style and elegant nature of the wearer. Since 1853, Eau de Cologne has been a rite of passage to obtain one's rightful place in the family of the great Guerlain Perfumers, each one reinventing it in his own way. Composed of lively, fresh and light notes, it is always cheerful and extroverted. Guerlain have a beautiful heritage and a fantastic reputation for creating the most divine limited edition fragrances, cosmetics and gift sets that are a true treat to receive and give. 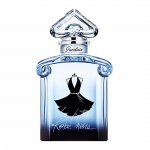 Guerlain's latest creation is the La Petite Robe Noire Collection. 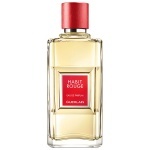 Encompassing cosmetics, makeup, fragrances and body indulgences Guerlain La Petite Robe Noire Collection allows every woman to feel stylish and look incredible. 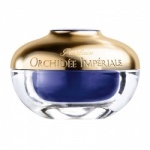 Guerlain's alchemists have sealed intense colour and luscious lip care into a jewel formula, fashioned in its exceptional case. 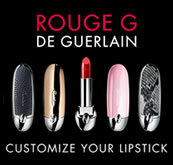 The 'it-case' gives a fashion twist to the iconic Rouge G.
The Eau de Toilette Mon Guerlain is a tribute to a free woman, with all that this encompasses in terms of strength, daring and courage. 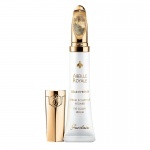 Guerlain Abeille Royale Queen's Treatment is an intensive Royal Jelly treatment that targets the specific needs of tired skin for a truly revitalizing and fortifying result. 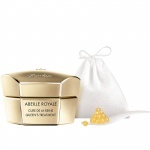 The exclusive Guerlain Royal Jelly is encapsulated in small pearls which preserve its restorative power. 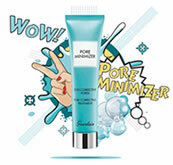 In just 7 days, the skin is revived, fresher-looking and more toned. 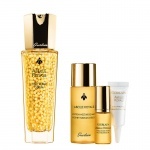 Guerlain's Abeille Royale custom-made youth programme, born from the exceptional repairing power of bee products. 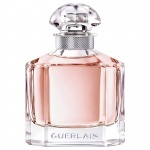 Guerlain Vol de Nuit has a sophisticated personality, with floral and woody facets that blossom in a bold oriental trail.